Save $50–$100 with Your HSLDA Membership! As a Home School Legal Defense Association member, you pay $100 less for any two-semester AP® course and $50 less for any two-semester high school course, one-semester high school course, or one-semester AP® course offered through HSLDA Online Academy. Simply enter your seven-digit HSLDA member account number on the course registration page when you sign up for classes with HSLDA Academy. Please note that you must have an active membership before you can receive discounted pricing. If your membership has expired or you are still in the member application process, you will be charged at the non-member rate. Why Become an HSLDA Member? HSLDA, the premier homeschool advocacy organization, has been defending the right for parents to educate their children at home since 1983. HSLDA membership gives you 24/7 access to legal counsel related to homeschooling. Members can also get advice and answers from educational consultants specializing in elementary through middle school, high school, and special needs homeschooling. 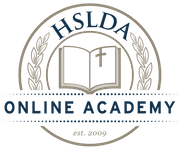 Many exclusive discounts are available to you as an HSLDA member—including, but not limited to, special pricing on HSLDA Online Academy courses. Click here to learn more about HSLDA and how you can become a member. 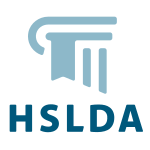 Once you have applied for HSLDA membership, your application is reviewed by HSLDA’s administrative and legal staff. As soon as your membership has been approved, you will receive an email confirmation from HSLDA, which will include the member account number you need to use on your HSLDA Online Academy registration form. Your HSLDA member card will then be sent to you through the mail. Please be aware that an application can take two to three weeks to process, or more during summer and fall, when HSLDA receives its highest volume of new applicants. While many applications are able to be approved within a week of submission, a short turn-around time is not always possible. If you are applying for membership prior to registering for a HSLDA Online Academy course, please allow sufficient time for your membership application to be processed. If you need your application processed immediately, please apply for membership online and select the rush processing option when you reach the payment step.